A thank you video from Avril for donating to her Avril Lavigne Foundation. There are still 18 days left to donate any amount and you can enter to win a trip to New York City to attend Avril's album release party! DONATE NOW. The video for "Let Me Go" will out on VEVO on October 15, and the single will also be available that same day for purchase on iTunes! The countdown begins! 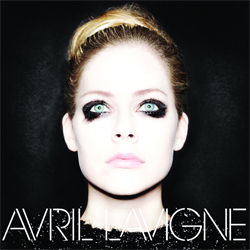 Avril has announced her Japan 2014 tour! 5 dates are scheduled, and there will be more throughout Asia (Avril herself has said that she will be touring Asia for the whole month of February). Avril (and her pink corn rows) and Chad were photographed at LAX airport on Tuesday (October 8). I wonder if they were coming back or going somewhere? LISTEN TO "LET ME GO"! 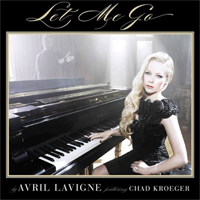 Avril and Chad's ballad "Let Me Go" premiered on 104.3 MY FM in Los Angeles today (Avril and Chad were both in studio for an interview). It's a hauntingly beautiful piano ballad, and Avril and Chad are filming the music video for the song today! Listen below (and check out the single cover). It will be available on iTunes October 15, and of course on "Avril Lavigne" available November 5 (if you hear different lyrics than what I wrote, let me know). Chad, what have you done with our Avril? You've made her into a beautiful WOMAN! I just love this new sophisticated look and I hope it sticks around. Avril and Chad attended the Huading Awards in China last night, where she won Best Global Singer and performed "Girlfriend" and "Here's To Never Growing Up"! She also revealed that the World Tour will be starting February 1st in Asia! Brand new layout made once again by Natalie. Oh Avril, you never cease to amaze us! Avril is on the cover of Bello Mag, looking oh so sophisticated in Dior, Prada, and more designers. Which look is your favorite? Avril Lavigne's 5th album, "AVRIL LAVIGNE", is officially up for preorder, and AvrilLavigne.com has a special opportunity to preorder the physical CD (either the clean or explicit version) and get a fanified poster (made from the names of those who preordered) as well as your very own BearShark! More info can be found here. PARTY WITH AVRIL - STILL TIME! Avril is ONLY $13,000 away from her $50,000 goal and we can help make it happen!